Week of June 23rd – Networking Events, Job Fairs and Hot Lists.  In addition, please be sure to check out our jobs section on our website https://www.hireourheroes.org/veterans/jobs and our HireOurHeroes LinkedIn Group for more job openings and networking opportunities. June 24, 2014 – (, Palo Alto, CA , US) – Business Planning Analyst Click here for full details. June 24, 2014 – (, Dayton, Ohio , US) – Weapons Systems Engineer – Test and Evaluation Manager Click here for full details. June 24, 2014 – (, Jeddah, PSAB al-Kharj, Kingdom of Saudi Arabia, Other / Non-US , SAU) – C-130 Instructor Loadmaster Click here for full details. June 24, 2014 – (, PSAB al-Kharj, Kingdom of Saudi Arabia, Other / Non-US , SAU) – C-130 Instructor Flight Engineer Click here for full details. June 24, 2014 – (, Washington DC Area, Dist. Columbia , US) – Navy OPNAV Action Officer (Weapons ” Standard Missiles) Click here for full details. June 24, 2014 – (, Northwest Florida, Florida , US) – Weapons Systems Engineer – Test and Evaluation Manager Click here for full details. June 24, 2014 – (, Jeddah, PSAB al-Kharj, Kingdom of Saudi Arabia, Other / Non-US , SAU) – C-130 Instructor Pilot Click here for full details. June 23, 2014 – () – Security Consultant Click here for full details. June 23, 2014 – (, Washington DC Area, Dist. Columbia , US) – Navy Program Analyst for F-35 Joint Strike Fighter Click here for full details. June 23, 2014 – (, Taif, Kindom of Saudi Arabia, Other / Non-US , SAU) – Augusta-Bell AB-412 212 EP Ground Instructor Pilot(non-Flying) Click here for full details. June 23, 2014 – (IC, Washington, DC , United States) – Data Architecture and Standards SME Click here for full details. June 23, 2014 – (, Atlanta, GA 30329, ) – Intermodal Customer Operations Coordinator Click here for full details. June 23, 2014 – (, Brea, CA 92821, ) – Intermodal Customer Operations Coordinator Click here for full details. June 23, 2014 – (, Oak Brook, Illinois 60523, United States) – Intermodal Customer Operations Coordinator (Entry Level) Click here for full details. June 23, 2014 – (, St. Louis, MO 63146, ) – Highway Tracer Click here for full details. June 23, 2014 – (, Pittsburgh, PA 15275, ) – Highway Tracer Click here for full details. June 23, 2014 – (, St. Louis, MO 63146, ) – Logistics Carrier Manager Click here for full details. June 23, 2014 – (, St. Louis, MO 63146, ) – Highway Solutions Specialist Click here for full details. June 23, 2014 – (, Quantico, VA 22134, United States) – Electronic Warfare (EW) Analyst Click here for full details. June 23, 2014 – (, Dayton, Ohio , US) – USAF Logistics Manager Click here for full details. June 23, 2014 – (, Tacoma, Washington 98524, United States) – Outside Sales Representative 2014-1606 Click here for full details. June 23, 2014 – (, Aurora, Colorado 80011, United States) – Warehouse Lead 2014-1602 Click here for full details. June 21, 2014 – (, Miami, FL , US) – Field Services Technician Click here for full details. June 20, 2014 – (, Aurora, Colorado 80010, United States) – Production Lead (2014-1605) Click here for full details. June 20, 2014 – (, Aurora, Colorado 80010, United States) – Production Supervisor (2014-1603) Click here for full details. June 20, 2014 – (, Seattle, Washington 98108, United States) – Environmental Generalist (2014-1603) Click here for full details. June 20, 2014 – (, Dallas, Texas 75001, United States) – CNC Operator (2014-1599) Click here for full details. June 20, 2014 – (, Redmond, Washington 98502, United States) – Manufacturing Engineer (2014-1598) Click here for full details. June 20, 2014 – (The University of Texas at El Paso, El Paso, TX 79968, USA) – Senior Advancement Processor-10019197 Click here for full details. June 23, 2014 – (San Diego, CA, San Diego, California 92110, United States of America) – Technical Instructor/Course Developer Training (SME) Click here for full details. June 20, 2014 – (, San Diego, California , ) – Navy Construction Engineers Click here for full details. June 20, 2014 – (, Jacksonville, North Carolina , ) – MV-22 Avionics Technician Click here for full details. June 20, 2014 – (, Quantico, VA , US) – Navy / Marine (NGEN) Openings Click here for full details. June 20, 2014 – (Simventions, Fredericksburg, VA 22408, US) – IA Lead #298 Click here for full details. June 20, 2014 – (Simventions, Fredericksburg, VA 22408, US) – Software Lead #297 Click here for full details. June 20, 2014 – (, Olympia, Washington 98501, United States) – Critical Facility Engineer (HVAC and Data Center Controls) Click here for full details. June 19, 2014 – (, Camp Lejeune, NC , ) – Riverine Medical Operations (RMO) Instructor (249-845) Click here for full details. June 19, 2014 – (, San Diego, CA , ) – Antiterrorism Leadership Instructor (251-845) Click here for full details. June 19, 2014 – (, Jacksonville, FL , ) – Antiterrorism/Force Protection Instructors (037) Click here for full details. June 19, 2014 – (, Sandusky, OH , ) – Security Officer (061) Click here for full details. June 19, 2014 – ( San Francisco International Airport, San Francisco , CA , ) – Now Hiring Pipeline Technicians at San Francisco International Airport! Click here for full details. June 19, 2014 – (East Coast, Stratford, CT , ) – Structural Test Lab Technician / Aviation / Urgent Click here for full details. June 19, 2014 – () – Senior Analyst (Army Aviation SSO)-FDV Click here for full details. June 19, 2014 – () – Senior Analyst (Intelligence Systems SSO)-FDI Click here for full details. June 19, 2014 – () – Lead Systems Analyst (141-14) Click here for full details. June 19, 2014 – () – Senior Analyst (BMDS and Space SSO) – FDG (2) Click here for full details. June 19, 2014 – () – Senior Analyst (JTAMD SSO) – FDG (1) Click here for full details. June 19, 2014 – () – Senior Analyst (Soldier Weapons SSO)-FDD Click here for full details. June 19, 2014 – (University of Texas at El Paso , El Paso, T 79968, United States) – Community Services Gu-10022284 Click here for full details. June 19, 2014 – () – Senior Analyst (COMSEC Modernization SSO)-FDC Click here for full details. June 19, 2014 – () – Senior Analyst (FDB) Click here for full details. June 19, 2014 – () – Senior Analyst (FDA) Click here for full details. June 19, 2014 – () – Budgeting and Certification Analyst Click here for full details. June 19, 2014 – () – Program Analyst Click here for full details. June 19, 2014 – () – Innovation Analyst Click here for full details. June 19, 2014 – (, Nationwide Opportunities, Various States , U.S.) – Maintenance Supervisors – Nationwide Click here for full details. June 19, 2014 – (, Houston, TX , US) – Global Parcel Procurement Manager Click here for full details. June 19, 2014 – (, San Diego, CA , US) – NetOps Specialist Click here for full details. June 19, 2014 – (, Miami, NY , US) – Cloud Engagement Partner Click here for full details. June 19, 2014 – (, Herndon, VA , US) – CA Identity Minder Developer/Implementer Click here for full details. June 19, 2014 – (, Herndon, VA , US) – Senior Information Systems Architect Click here for full details. June 19, 2014 – (, Raleigh, NC , US) – IT Developer/Engineer Click here for full details. June 19, 2014 – (, Herndon, VA , US) – Vulnerability Assessment and Penetration Tester Click here for full details. June 19, 2014 – (, Nationwide Opportunities, Various States , U.S.) – Nationwide Opportunities Click here for full details. June 19, 2014 – (, Nationwide Opportunities, Various States , U.S.) – Production Supervisors – Nationwide Click here for full details. June 19, 2014 – (, Nationwide Opportunities, Various States , U.S.) – Service Managers – Nationwide Click here for full details. June 18, 2014 – (Iraq, Baghdad, , Iraq) – Click here for full details. June 18, 2014 – () – Plant Managers Click here for full details. June 18, 2014 – (, Fort Polk, Louisiana 71459, United States) – Team Leader – Cultural Role Player Support (2014-1597) Click here for full details. June 19, 2014 – (East Coast, West Palm Beach, FL , ) – Aviation Safety Operations Personnel Click here for full details. June 18, 2014 – (, Ft Bragg, NC 28307, USA) – Imagery Analyst Click here for full details. June 18, 2014 – (, Reston, Virginia , US) – Financial PLanning & Analysis Director Click here for full details. June 18, 2014 – (, Reston, Virginia , US) – Cash Manager Click here for full details. June 18, 2014 – (, Ft. Collins, CO , US) – Senior Storage Test Engineer Click here for full details. June 19, 2014 – (East Coast, West Palm Beach, FL , ) – Instrumentation Technicians Needed / URGENT Click here for full details. June 19, 2014 – () – INSTRUMENTATION ENGINEER Click here for full details. June 18, 2014 – (, Tukwila, Washington 98188, United States) – Purchasing Manager Click here for full details. June 18, 2014 – (, Tukwila, Washington 98188, United States) – Human Resources Manager Click here for full details. June 17, 2014 – (, Washington DC / Quantico, Dist. Columbia , US) – Training and Plans Specialist Click here for full details. June 17, 2014 – (, Simi Valley, California 93065, United States) – Delivery Driver Assistant (2014-1596) Click here for full details. June 17, 2014 – (The University of Texas at El Paso, El Paso, TX 79968, USA) – Auxiliary Services Support-10024496 Click here for full details. June 17, 2014 – (MIT Lincoln Laboratory, Lexington, MA 02420, Middlesex) – Business Program Manager #5050 Click here for full details. June 17, 2014 – (MIT Lincoln Laboratory, Lexington, MA 02420, Middlesex) – SCCM Administrator #5086 Click here for full details. June 17, 2014 – (, Davis-Monthan AFB, AZ , ) – GCCS System Administrator Click here for full details. June 17, 2014 – (MIT Lincoln Laboratory, Lexington, MA 02420, Middlesex) – Information System Security Officer (ISSO) # 5101 Click here for full details. June 17, 2014 – (MIT Lincoln Laboratory, Lexington, Mass 02420, Middlesex) – Information System Security Officer #4993 Click here for full details. June 17, 2014 – (Weisbaden, Germany, Weisbaden, , Germany) – CI Operations Planner Click here for full details. June 17, 2014 – () – Cyber CI Analyst Click here for full details. June 17, 2014 – (, Vicenza,, , Italy) – Systems Engineer Click here for full details. June 18, 2014 – (, Reston, Virginia 21091, US) – Sharepoint Soloutions Engineer Click here for full details. June 17, 2014 – (, Palo Alto, CA , US) – Sr. Citrix Technical Consultant Click here for full details. June 17, 2014 – (, Colorado Springs, CO , US) – Senior Storage Development Engineer Click here for full details. June 17, 2014 – (, Littleton, MA , US) – Senior Software Engineer Click here for full details. June 16, 2014 – (, Arlington, Texas 95050, United States) – Operations Assistant Click here for full details. June 16, 2014 – (Hawaii, Honolulu, Hawaii , USA) – Joint Training Systems Specialist Click here for full details. June 16, 2014 – (3800 Kenilworth Ave, Bladensburg, Maryland 20710, USA) – Operations/Warehouse Manger Click here for full details. June 16, 2014 – (San Diego, CA, San Diego, California 92110, United States of America) – Senior Software Engineer Click here for full details. June 16, 2014 – (San Diego, CA, San Diego, California 92110, USA) – Fiber Optic Technician Click here for full details. June 16, 2014 – (The University of Texas at El Paso, El Paso, TX 79968, USA) – Scholarship Advisor-10020128 Click here for full details.